The press conference was scheduled to begin at 2:00 AM EDT on March 15, but was delayed 25 minutes due to a separate meeting just prior between the prime minister and family members of those onboard the aircraft, where the same announcement was delivered personally. 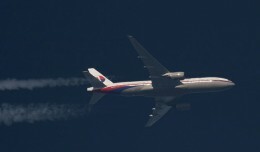 Razak confirmed the report, saying “seven days ago, Malaysian Airlines flight 370 disappeared… I instructed Malaysian authorities to share information freely with the wider investigation team. As of today, 14 countries, 43 ships and 58 aircraft are involved in the search. I wish to thank all the governments for their help. “Early this morning, I was briefed by the US investigation team… on new information that sheds further light on what happend to MH370. Based on new satellite communication, we can say with a high degree of certainty that the ACARS was disabled shortly after reaching the border of Malaysia, and the transponder was turned off at the border of Malaysia and Vietnam. The aircraft then turned back toward Malaysia, and then northwest toward the Andaman Sea. This was done by deliberate action by someone on the plane. “Today, based on data provided by the satellite service provider, we can confirm that the aircraft shown in the radar data was MH370. 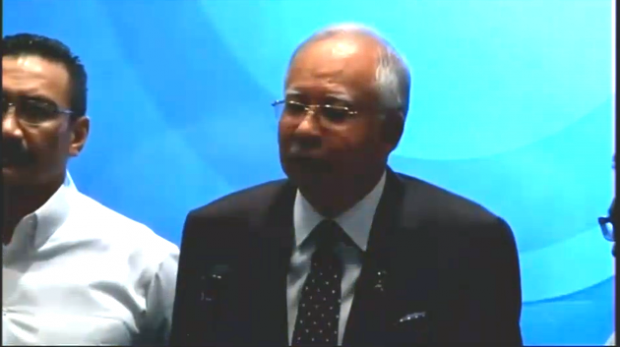 The US and Malaysian investigation teams working separately on the data concluded the same. 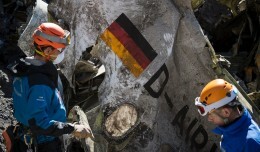 “The last known communication from the aircraft was 8:11 AM Malaysia time. 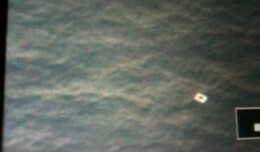 Due to satellite data, we are able to confirm the precise location of the plane when it last made contact. However, investigators in Malaysia and US counterparts have confirmed the last known satellite communication from the plane was made from one of two points… the investigation team is working to further refine the information. Earlier in the day, detailed radar and satellite analysis indicated that, after the transponder was switched off, the Boeing 777 made several altitude changes ranging from 23,000′ up to 45,000′ at one point, which is several thousand feet above the 777’s legal ceiling. “Only a skilled aviator could navigate the plane the way it was flown after its last confirmed location over the South China Sea,” according to the Associated Press, “and … it appeared to have been steered to avoid radar detection. The official said it had been established with a “more than 50 percent” degree of certainty that military radar had picked up the missing plane after it dropped off civilian radar. Of the few facts known for sure is that the plane had enough fuel onboard to fly for up to five hours from the time the plane’s transponder was deactivated. This detail creates a wide range of landing possibilities, both on land and sea. A massive international search effort continues. The murder-suicide by the pilot of Germanwings 9525 has raised questions on how to address the mental and emotional health of pilots. If it did crash, the ELT should have been activated and the rescue searchers should have heard it over the emergency frequency 122.5. As a pilot I can tell you that those things go off with a sharp hit, or even a hard landing could set it off. Then again if its several feet under water it might make it difficult to pick up.